Any Unitarian Universalist who is a member of a recognized Unitarian Universalist Congregation (one which is a member of the Unitarian Universalist Association); or a Unitarian Universalist Minister in Fellowship with the UUA, is entitled to a regular membership in the Universalist Convocations upon payment of Annual Membership dues. 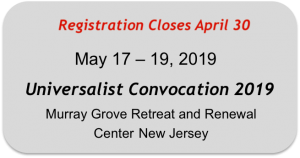 Any person signifying interest in the Universalist Convocations and its stated purpose will be entitled to an associate membership in the Universalist Convocations upon payment of Annual Membership dues. Membership dues of $5.00 will be assessed annually for both classes of individual membership, due and payable at the annual Convocation, or within one month thereof. 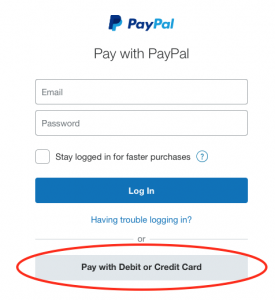 Once you Click Pay Now, you will be transferred to Paypal where you will have the option to make payment via your Paypal Account or via a Debit or Credit Card.